Speed was one of Alberto Santos-Dumont's principal challenges. How could he exceed it, how could he control it? He set record after record in aviation, the earliest of which dates from 1906 and concerns flying speed, covering a distance of 220 metres in 21 seconds. 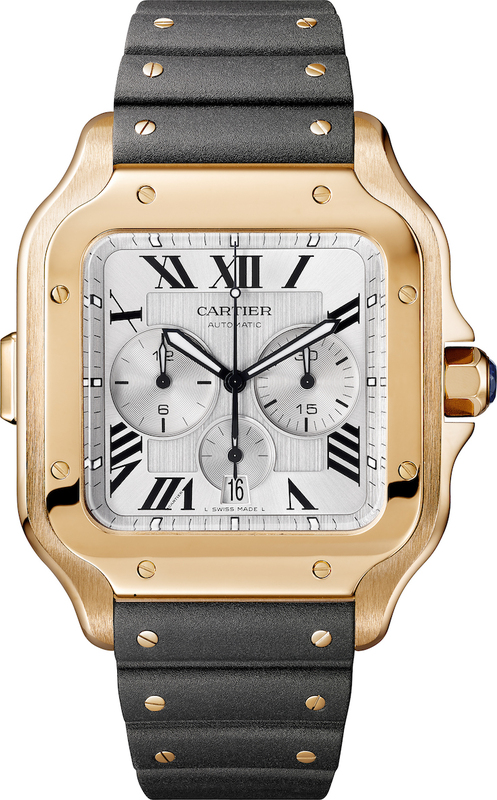 Made to measure records, the new Cartier chronograph takes this heritage into the 21st century. Always attentive to elegance and ergonomics, Cartier gave it a single start/stop push button, visible at 9 o'clock, with the reset function being directly integrated into the crown. This lighter design naturally leads to lighter movements. 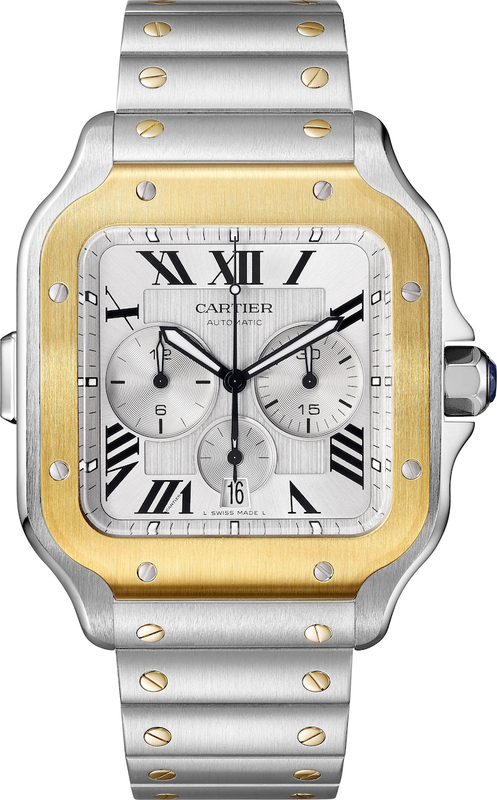 The case, in stainless steel or in 18kt gold, or in steel and gold, measures 42mm. It has a sapphire crystal. Movement is the Swiss automatic Cartier in-house caliber 1904-CH MC with 27 jewels, 28,800 vph and a power reserve of 3 days. It features a column wheel, vertical clutch, and linear reset hammer. Cartier filed the patent for the first folding buckle in 1909. 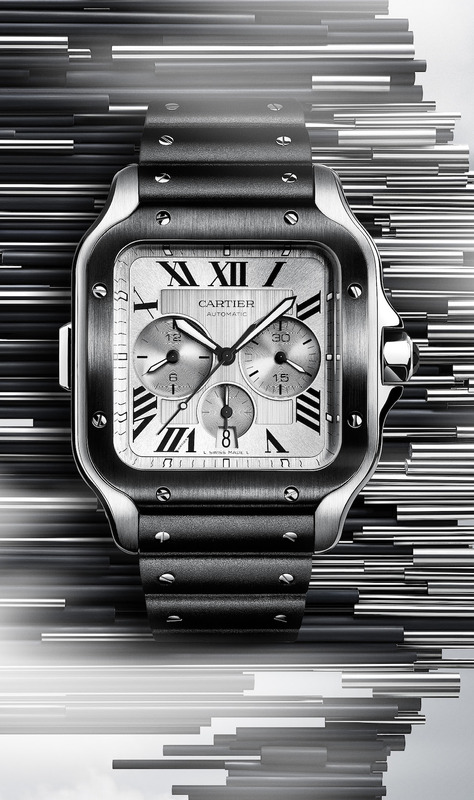 This year, Cartier has developed its design further still by enhancing its comfort, ease of use and security. Despite being fitted with push-piece fastening and unfastening, a lighter blade and a simple wristband change system, the clasp keeps all its signature aesthetics. 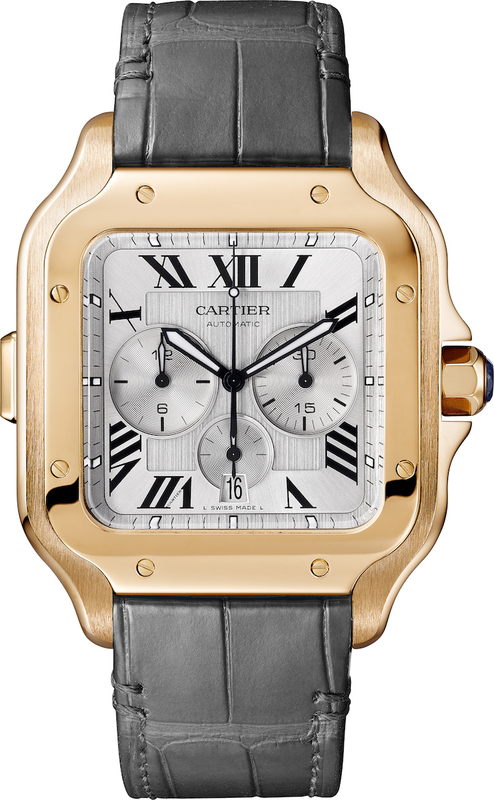 Like the Santos de Cartier collection as a whole, the bracelets and straps offer ultimate practicality. Available in steel, alligator leather or rubber, all versions can be interchanged thanks to the patented QuickSwitch system, the invisible mechanism which seamlessly blends into the architecture of the case. Meanwhile the metal bracelet can be adjusted to the nearest link thanks to its patented tool-free SmartLink size adjustment system. Looking froward to seeing the all steel with bracelet in the wild. Those chronograph pushers are an interesting take on the usual fare. I look forward to seeing it in person when it reaches my local boutique.